Just could not help snapping this! 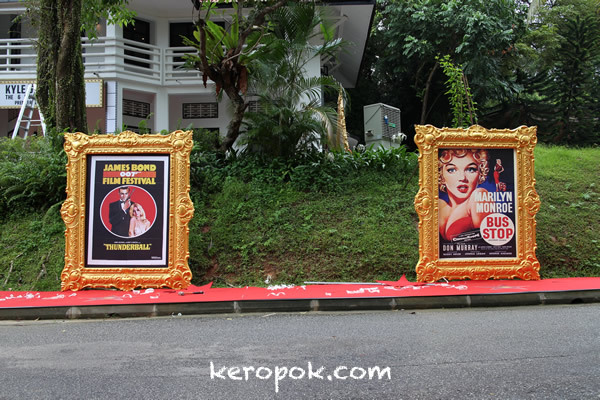 Two huge frames with James Bond and Marilyn Monroe posters along a sidewalk that had been red-carpeted! Not sure what the occasion is, not interested to find out too. Just trigger happy and took a shot of it. Interesting things do happen around Singapore. Filming during a Cooking Show.